In the grand scheme of things, we are all neighbors. We work together, play together and should support each other. 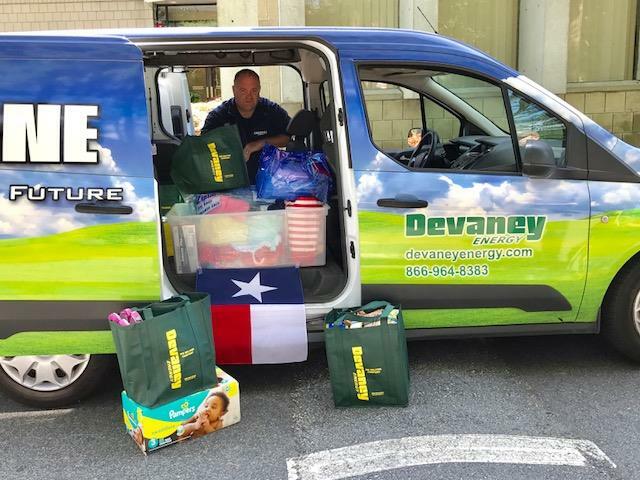 Giving back and playing an active role within the communities in which we do business has always been and will always be something that Devaney Energy is extremely passionate about. We have been extremely fortunate to partner with, sponsor and support some amazing organizations and causes over the years and look forward to even more in the future. Thank you to the partial list below for allowing us to work with you…. Unfortunately, very few of us in this day and age can say that they haven’t in some way been touched by cancer. Be it a personal battle, a close loved one, a family friend or merely an acquaintance, cancer leaves it’s mark on all of us. There are many organizations that have been founded over the years to help support individuals and families as they face the challenges that cancer brings with it. The Ellie Fund is one such group and all of us at Devaney Energy are so grateful to have been afforded the opportunity and privilege to partner with them. Founded in 1994, this Needham-based non-profit’s mission is to fight breast cancer and help ease the burden on patients and their families. Started by brothers Jeff and Eliot Popkin in honor of their mother Eleanor “Ellie” Popkin, The Ellie Fund provides support and services such as transportation to treatment centers, preparation and delivery of healthy meals, childcare and housekeeping etc. For more information or to support this amazing organization please visit www.elliefund.org. When it comes to supporting those in our community we have always proudly worn our heart on our sleeve. To mark our partnership with The Ellie Fund, we have decided to also wear it on our trucks. Ellie Fund Director of Development says “We are incredibly honored to partner with Devaney Energy to help provide important support to breast cancer patients and their families in our community”. Our pink “Ellie” trucks are currently rolling through Eastern Massachusetts and a portion of the proceeds from the fuel delivered by these trucks is donated to The Ellie Fund.